Looking for a custom new grandma gift or a birthday gift for your grandmother? 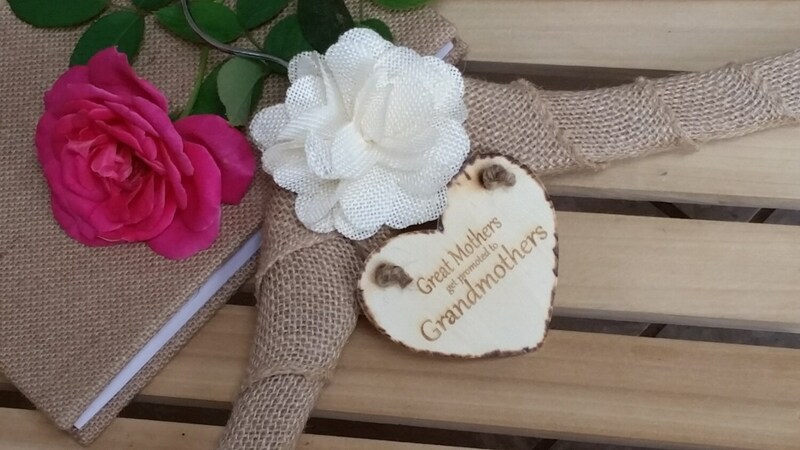 Our burlap wrapped hanger with an engraved heart will make a prefect gift for the grandma to be, for grandma on her birthday, the holidays or just to say I love you Grandma! Each heart is engraved with " Great Mothers get promoted to Grandmothers"
If you would like something else engraved just let us know at checkout.